Stephansen and Panther win Sonora Shootout! 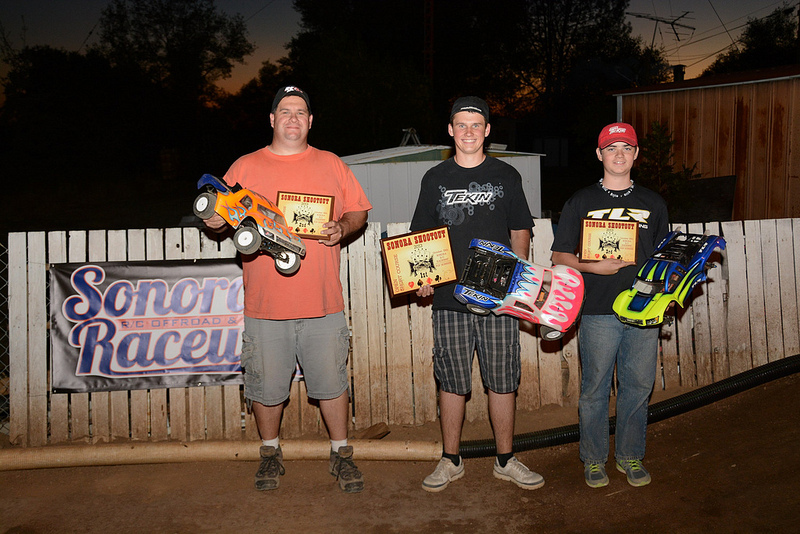 This past Saturday Sonora RC Raceway hosted the first annual Sonora Shootout. The layout looked amazing with great flow, and it was all designed by Mychael Amos. Panther Tire factory driver Derek Stephansen would TQ the Pro2 SC class early on in Q1 and Q2. He would be qualified 6th in b 2wd Mod buggy after battling some technical issues. Come main time, the B-main for buggy would be first, and Derek would go on to win fairly easy with a lap lead over the field. This would put him 9th on the grid come main time. The first A-Main would be Open 2wd SCT. Starting 1st on the grid Derek knew he had to keep it on all four wheels. Stephansen would slowly build a lead up and hold it for the 8 minute A-Main to make him the 2013 Sonora Shootout Champ in Pro2 Mod SCT running Panther Rattler Sc’s, stuffed with orange CSF foams mounted to DE Racing wheels on his SC10.2. Next would be the Mod Buggy A-main. The tone would go off and we would all go racing into the first turn. Unfortunately a pile up mid pack would leave Derek stranded with nowhere to go. Now be nearly a lap down with lap times in the low 15 to mid-14 second range, Derek would put his head down and drive the wheels off my Yokomo to finish 2nd in the main! 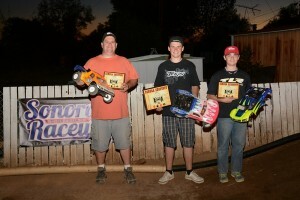 Derek chose Rattler 2.0’s in rear and Bobcat 2wd buggy fronts in soft compound to pull of this remarkable result.